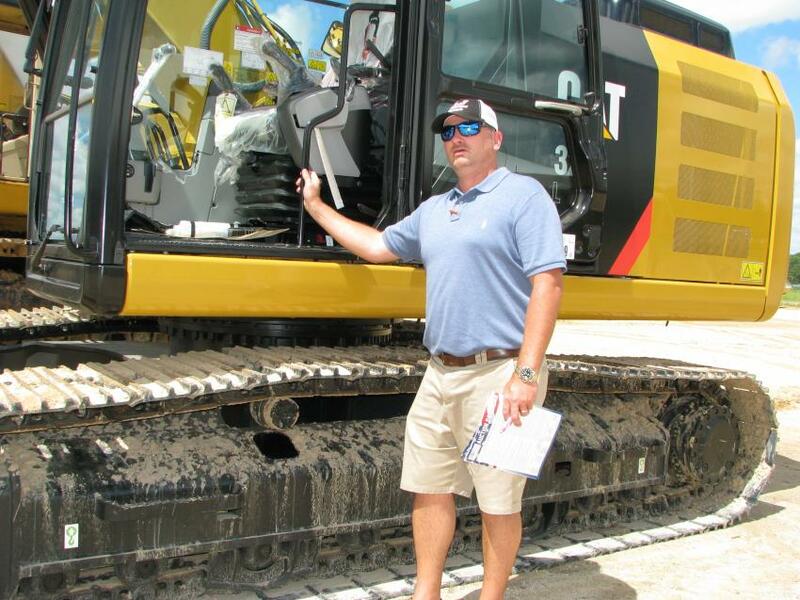 Alex Lyon & Son conducted a rental return auction with a wide variety of late model machines and support equipment on Aug. 7 at its Kissimmee, Fla., sale site. 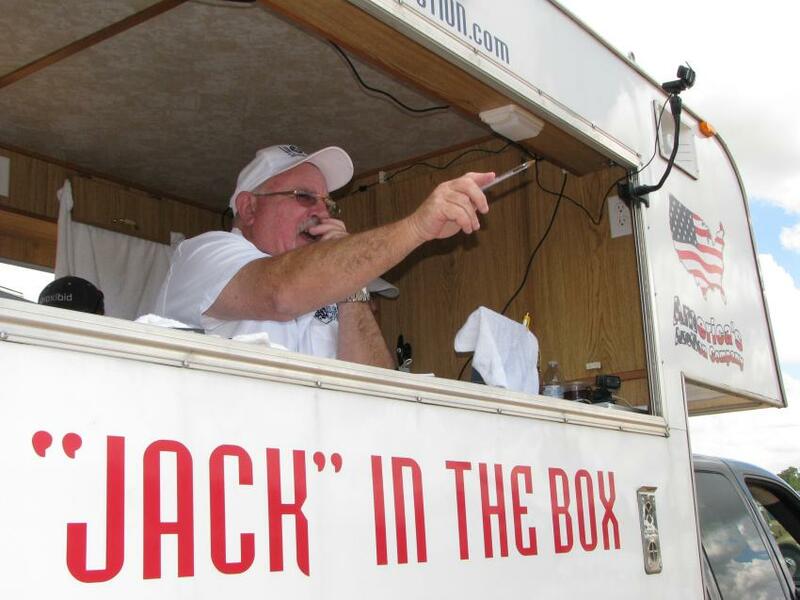 A great crowd of registered bidders turned out, and a large volume of online bidding made for another successful auction event. 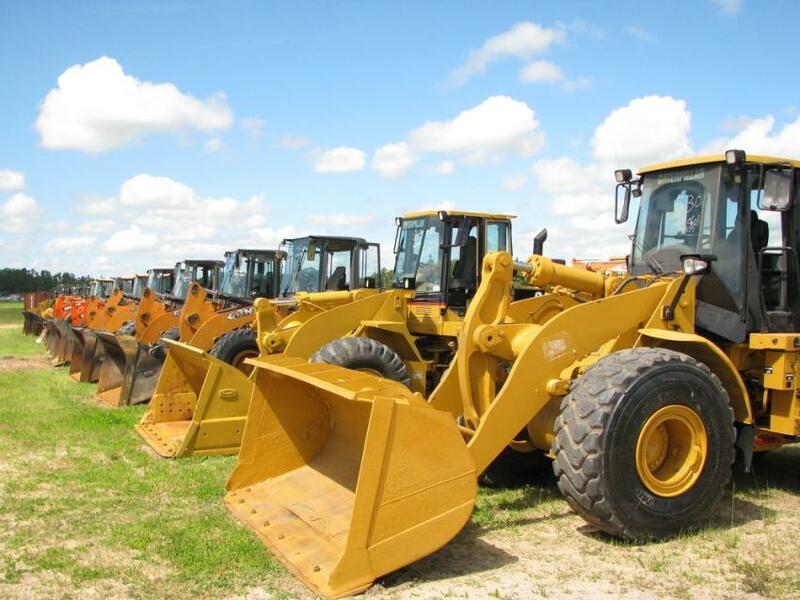 A terrific line-up of Cat, Case, Doosan and Deere wheel loaders was available at this sale. 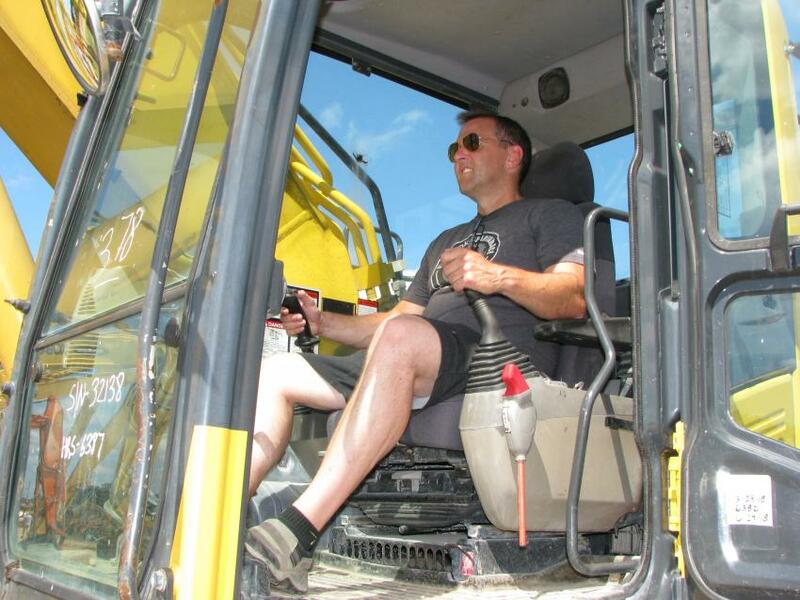 Test operating a Komatsu PC360LC is Tim Crean of Crean Equipment, Rutland, Vt.
Local contractors monitoring the machine bidding from the comfort of their golf cart are C.J. 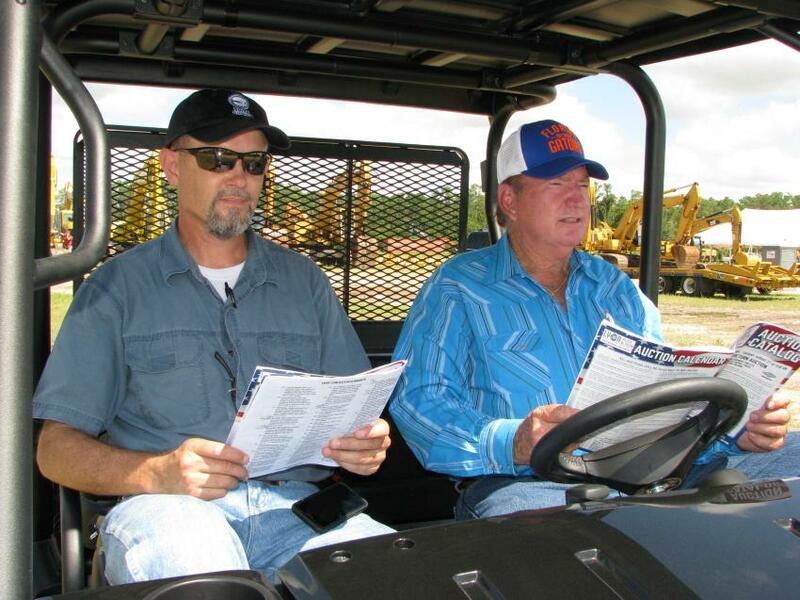 Bakkes (L) and J.W. 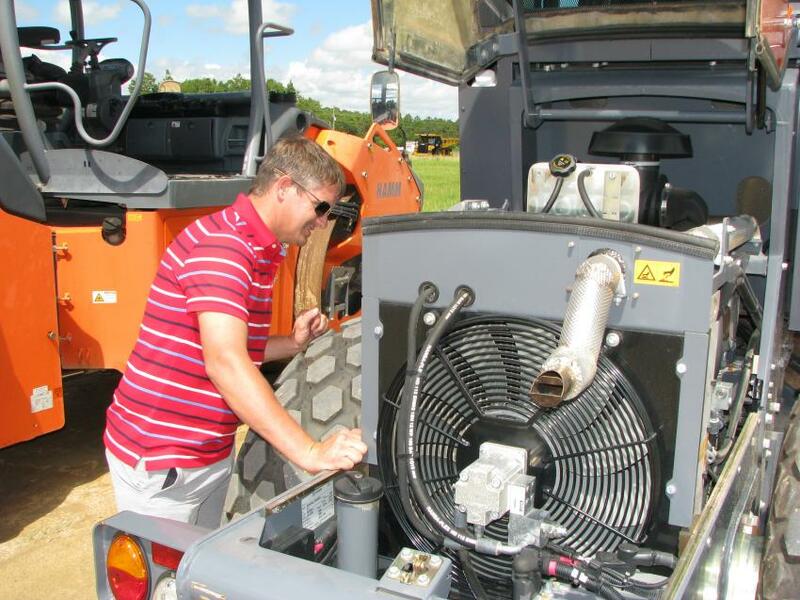 Fulwood of Elite Gunite, Plant City, Fla.
Jason Mashburn of Mashburn Equipment, Ringgold, Ga., inspects the powerplant of a Hamm H7i single drum compactor. 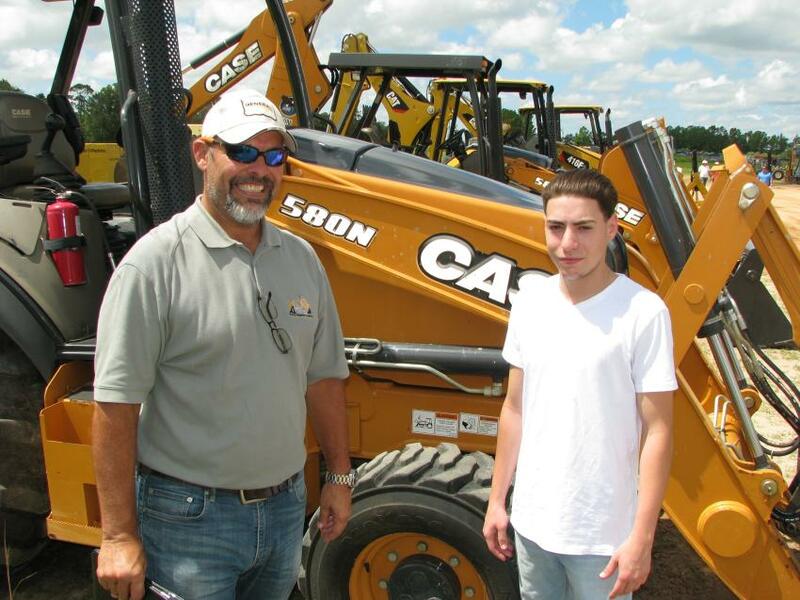 Getting ready to hop in to check out new Cat 320FL with only 6 hours is Jackie Atkinson, of J&J Truck Sales, Danville, Va.
At the auction to buy multiple machines to satisfy the needs of their customers back in Puerto Rico are Kiki Brignoni (L) and his son Jose, of Heavy Equipment Inventory, based in Puerto Rico. 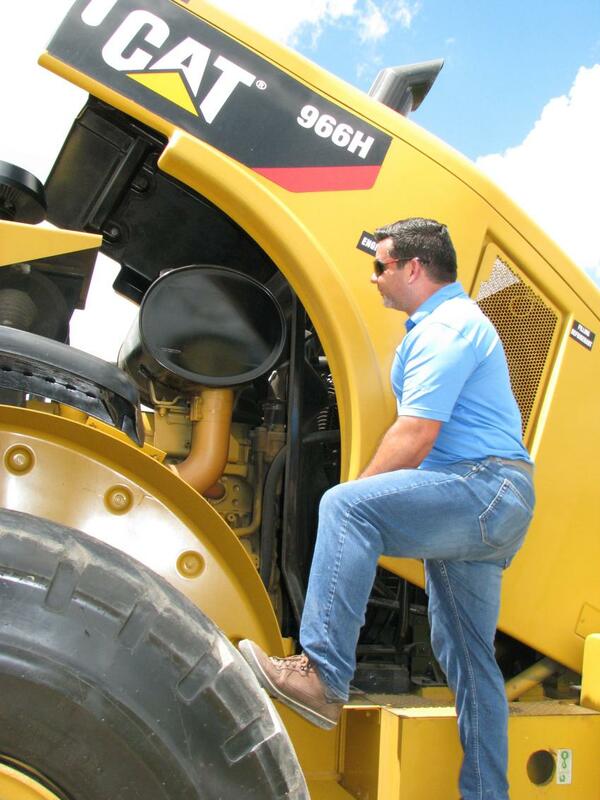 A big Cat 966H wheel loader was of interest to Giovan Figueroa of AF Export Equipment, Kissimmee, Fla.
Jack was back at his Kissimmee, Fla., sale site for another successful auction on Aug. 7. 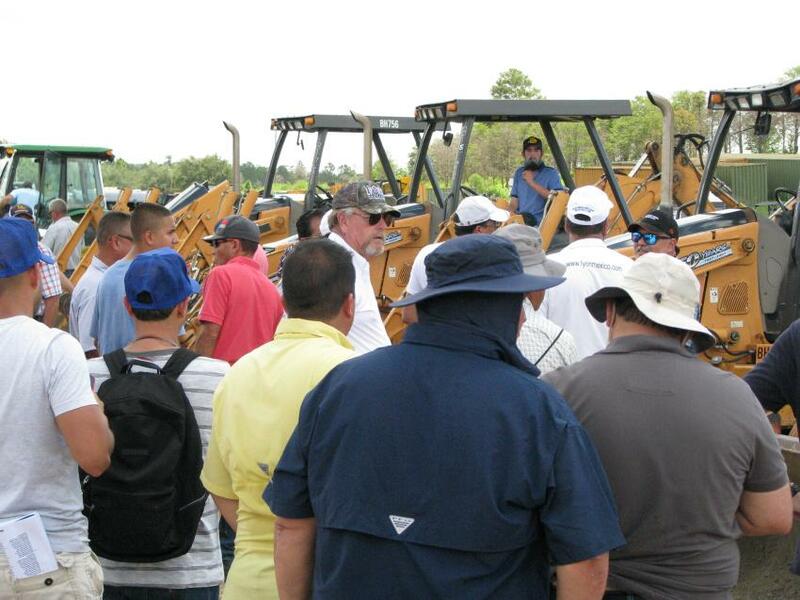 A great crowd of registered bidders turned out vying for machine bargains.